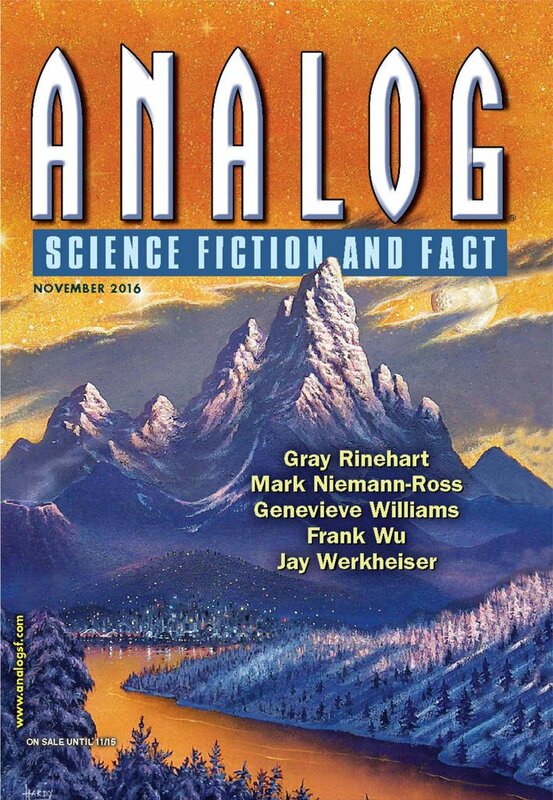 "In the Absence of Instructions to the Contrary," by Frank Wu [bio] (edited by Trevor Quachri), appeared in Analog Science Fiction and Fact issue 11|16, published on September 22, 2016 by Penny Publications. Pro: Karl eventually finds a purpose more meaningful that trying to woo Adeline. Con: There are too many suspension-of-belief busters. 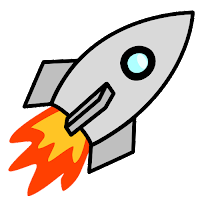 No scientist would send away an expensive probe and expect zero data return for five years. And if her probe came back professing its love for her, she'd have it report in and get it fixed. The story has trouble deciding whether it's humor or not. The love messages to Adeline are funny, but also irrelevant to the plot. On the other hand, the destruction of the human race is about as grim as you can get. As for emotional AI, since I have a background in AI, I have trouble treating them as any different from children's stories with talking trains and cars. I generally can't suspend disbelief for them unless they're humorous. Finally, if I had sent many, many probes out around the world, and one of them showed a serious software error, I would be a great pains to retrieve that probe and find out what went wrong so I could fix it before all the other probes started showing the same problem. I always have trouble with emotional-AI stories. After 30 years working on real AI, I have trouble suspending disbelief. They put me in mind of children's stories where cars and planes and trains have feelings and emotions. There is no accounting for taste. I loved this and it made my Hugo short list. I had the same problem with "Today I am Paul" last year--for many of the same reasons.